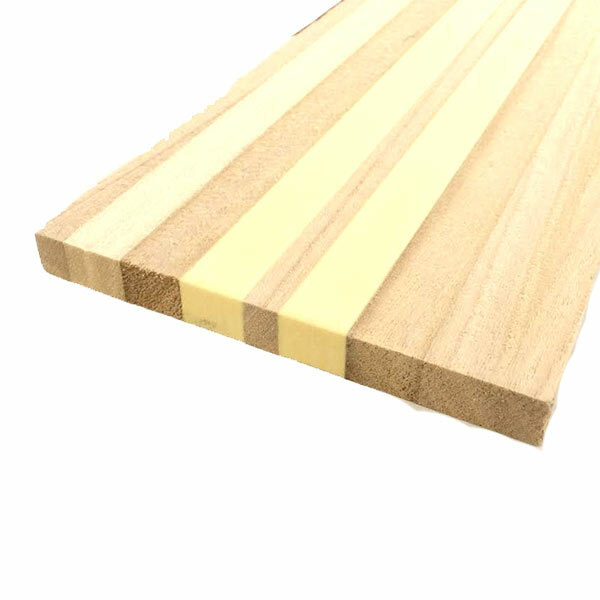 Details: High-quality laminated paulownia wood and foam core blank (15 mm x 150 mm x 1800 mm). Save time on design and construction. This core material is relatively light compared to poplar, ash, and maple. Each blank is ready for vertical profiling and wide enough for to make just ONE ski, so for a pair of skis or for one snowboard, you will need to purchase two cores. Due to the weight and size of the product, additional shipping charges may apply. Note also that we may not be able to ship these to some countries because of the length.